The dinosaur fossil record reveals a large variety in dinosaur physiology. For instance, we know from its remains that Tyrannosaurus was strong-jawed and fleet of foot, and that Styracosaurus wore a crown of horns. Unearthing clues about how the animals lived and behaved are more difficult to piece together. A team of scientists investigated a particular life cycle aspect—how long dinosaurs incubated their eggs—by looking at embryonic tooth growth. 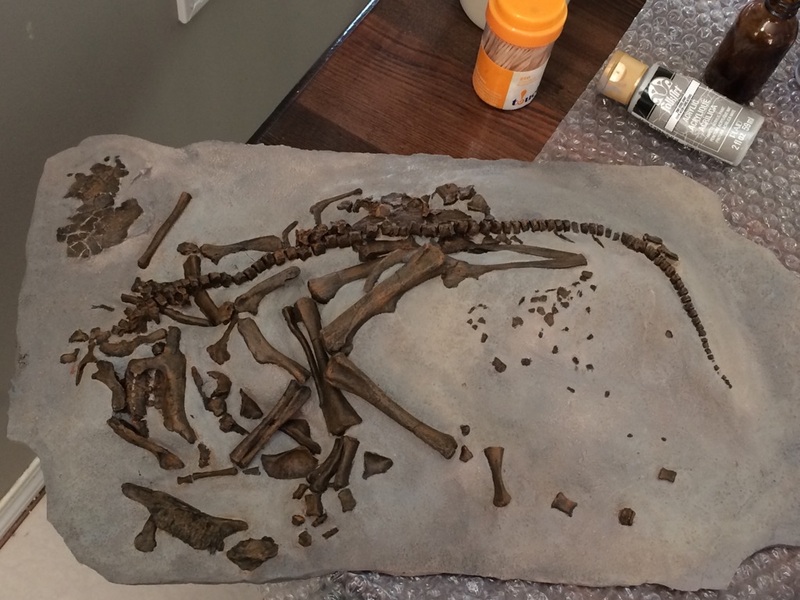 Reporting in the journal Proceedings of the National Academy of Sciences, the researchers found that the incubation period for dinosaurs, depending on the species, could have ranged from 3–6 months. Paleobiologist Gregory Erickson, the lead author on the study, discusses what this finding could tell us about dinosaur behavior. Gregory Erickson is a professor of Anatomy and Vertebrate Paleobiology at Florida State University in Tallahassee, Florida. IRA FLATOW: This is Science Friday. I’m Ira Flatow. You remember that scene from Jurassic Park, where the baby raptor hatches from the egg? JOHN HAMMOND: Come on then, there you are. There you are. IRA FLATOW: Well, we all know how that turned out. Not so good. But how much do we really know about dino eggs or how they reproduced? What were their eggs like? 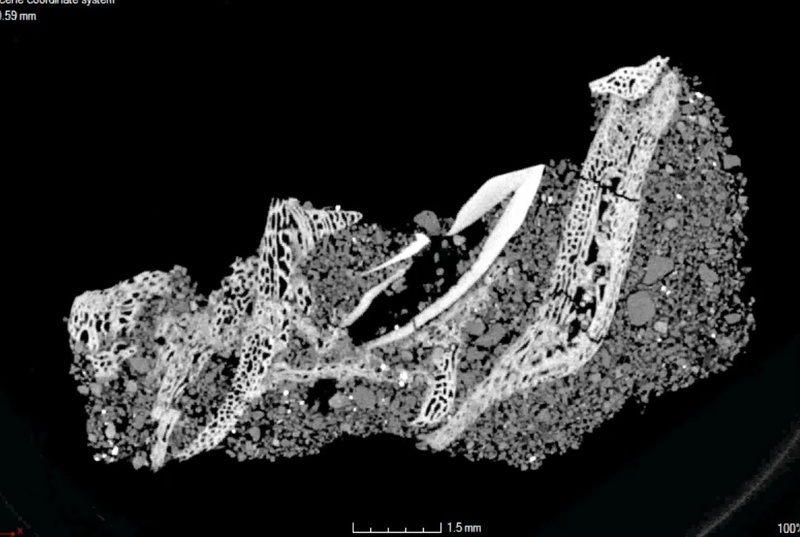 What can this tell us about how dinosaurs lived? A study out this week in the journal Proceedings of the National Academy of Sciences tackled those questions. And my next guest is the lead author on that study. Gregory Erickson is professor of anatomy and vertebrate paleobiology at Florida State University in Tallahassee. He joins us by Skype. Welcome to Science Friday. GREGORY ERICKSON: Hi, Ira. Thank you for having me. IRA FLATOW: You’re quite welcome. Let’s talk about your study. You looked at dinosaur hatchlings and embryo still in the egg. How were you able to get your hands on those? How were they preserved? GREGORY ERICKSON: Yeah, well, these are some of the rarest fossils in the world. We find pieces of dinosaur egg all over the Badlands. Very rarely do we find a whole egg. Once in a while, we find a whole egg that actually has some bones in it. In this case, the eggs were broken a little bit. We can see the skeletons in there. And I gained access through them through my colleague, Darla Zelenitsy, at the University of Calgary, and Mark Norell at the American Museum of Natural History. Each of them had some dinosaur embryos that I could look at. IRA FLATOW: And tell us what exactly you learned from all of this. GREGORY ERICKSON: Well, what we did is we cut open some of the embryonic teeth. And within teeth, you’ll find daily growth lines called von Ebner incremental lines. And you can count them out just like tree rings, except they’re daily. And so we counted those up, and we figured out how long these animals were incubating in the egg. And what we found was that the smallest dinosaurs took about three months to incubate their eggs. And these giant hypacrosaur eggs. I mean, these are ridiculous. They look like volleyballs. Those eggs were hatching out at about six months. IRA FLATOW: So you have to incubate this egg for six months? Does that tell us something about the mothering of a dinosaur? GREGORY ERICKSON: Yeah, well, it has a lot of ramifications for understanding life history of dinosaurs. It meant that the eggs were exposed to predators and stochastic events such as droughts and flooding– these sorts of things– for long periods of time. 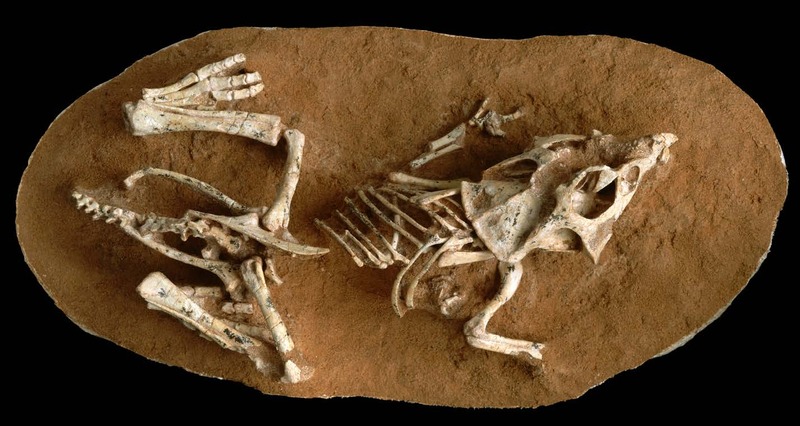 And also, some of the predatory dinosaurs, and it’s also thought that maybe these duckbill dinosaurs– which is one of the animals we studied– were actually brooding their eggs. So the parents would have been exposed to predators and starvation for long periods of time. IRA FLATOW: We’ve always heard now– and it’s sort of become rote now– that dinosaurs are related to birds. But that’s not an incubation time for a bird, is it? GREGORY ERICKSON: No, we were actually pretty stunned by what we found. Birds are dinosaurs, so it was just assumed that the extremely rapid incubation periods you see for birds would be seen in the dinosaurs. But instead, we found they’re more like reptiles, which they take almost twice as long to cook their eggs, so to speak. The way I liken it is birds are dinosaurs, but dinosaurs are not birds. IRA FLATOW: Oh, I like that. I like that. GREGORY ERICKSON: And I mean that the sense of their biology, not in the sense they’re not related. IRA FLATOW: And dinosaurs are born with a full set of teeth, right? GREGORY ERICKSON: Yeah, they are. Yeah, they hatched out ready to go. In fact, what’s really interesting about these dinosaurs is they were literally chewing in the egg. They were literally using their teeth, getting them ready for when they hatched out, so they’d be ready to go out and find some plant forage. IRA FLATOW: And we know bird’s teeth are as rare as hen’s teeth. You know that sort of thing for birds. So that’s another difference here we have between dinosaurs and birds, at least, in this stage of the dinosaur life. GREGORY ERICKSON: Yeah, well, the earliest birds had teeth. And actually, our data suggests that maybe some of the earliest birds had very slow incubation as well, and that the modern rapid incubation– birds just explosively reproduce and hatch out, so to speak– probably evolved in the avian lineage, probably in the Cretaceous and just before the KPG cataclysm. IRA FLATOW: Wow. Were dinosaur eggs similar to bird eggs? Or are they thicker and more leathery like the reptile eggs? You’re talking about sort of on the cusp here. GREGORY ERICKSON: They seem to be a lot more like birds’ eggs. That’s why we’re finding that so often preserved. So reptiles, even crocodilians, although they have calcified eggs, they’re somewhat leathery. IRA FLATOW: And chicken eggs have an oval shape, but some dinosaur eggs– I was looking at some at the American Museum of Natural History last week– they seem to be more round and symmetrical. Why is that? GREGORY ERICKSON: Well, no one really knows. There’s different egg shapes. Some of it has to do with how strong the egg is in terms of the load of sediment on it and these sorts of things. And also, just how they can pack the eggs. And the elongated eggs can be laid and sort of fall out in certain patterns that somehow would have benefited their development. The shapes of dinosaur eggs are quite variable, as you say. The smallest eggs we studied looked like potatoes. And the big ones we looked at looked like volleyballs. The very largest eggs looked like– I don’t know how to explain– kind of like a French rolls, so to speak. IRA FLATOW: Would the shape and the size of the eggs have anything to on incubation time it takes? Have anything to do on the role that played in why they died out? GREGORY ERICKSON: Well, not so much the shape. But we think that the slow incubation we found with dinosaurs is an important piece of the puzzle understand their extinction. Dinosaurs were basically caught holding some bad cards– a dead man’s hand, so to speak– when the asteroid hit. This is the time when all the flora of the world got knocked back and there was very little sustenance. And we think that as near as we can tell, dinosaurs were endothermic so they’re profligate consumers of energy, required a lot of resources to grow up. Some of my growth curve work has shown that all dinosaurs took a year or more to sexually mature. So they had very slow generation times. Then, you throw in this other black ace, and it basically says that even once they did lay their eggs, they took an enormous amount of time to hatch out. And these are not attributes that are conducive for surviving in an environment that doesn’t have much energy or much sustenance. On top of it, these are animals that are not going to repopulate the world very quickly and be able to adapt to fill vacated niche space. And we think that the amphibians, the reptiles, the mammals and the birds that survived were basically just the better competitors. And this had something to do with the dinosaur extinction. IRA FLATOW: Well, you know, birds lay eggs quite often. How often did dinosaurs lay an egg, so to speak? GREGORY ERICKSON: Well, we really don’t know that. We would assume on an annual basis. But that’s just another piece of the puzzle we need to figure out. IRA FLATOW: All right, thank you very much for sharing this information with us, Gregory. GREGORY ERICKSON: Oh, thank you for having me. This is an honor, thank you. IRA FLATOW: You’re quite welcome. Dr. Gregory Erickson, professor of anatomy and vertebrate paleobiology Florida State University in Tallahassee. And you can see photos of these fossilized dinosaur hatchlings. They’re up on our website at sciencefriday.com/dinoegg.